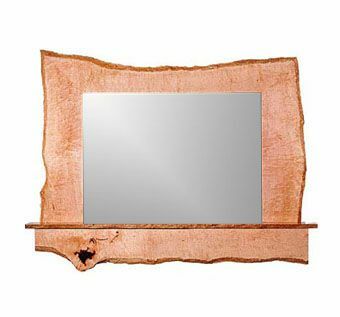 This quilted maple mirror frame challenged all conventional design and layout principals. It was an extremely interesting and gratifying piece to produce. The bottom panel is a shallow drawer. This piece is one of a series I am planning. The next in the series is to be made of curly blue beech. Dimensions: 8" x 36" x 42"
All live Edge work is onbe of a kind and can not be reproduced.